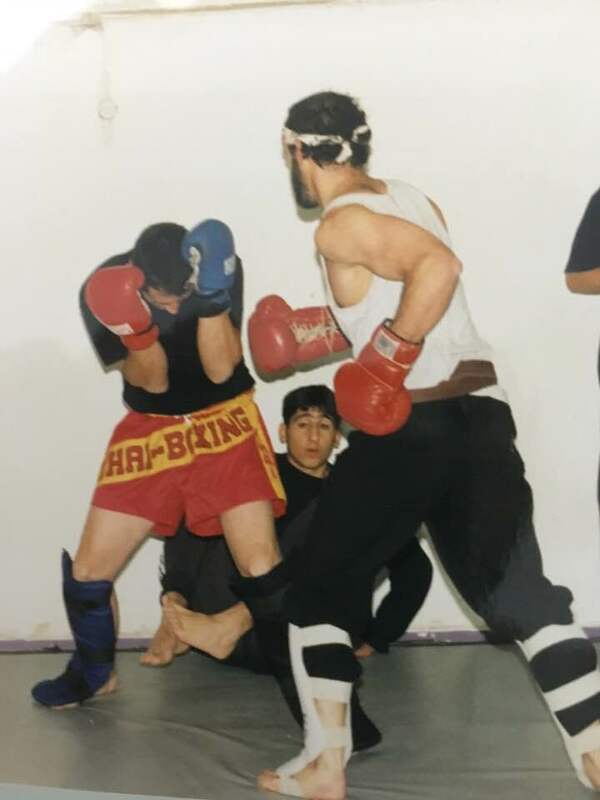 My black belt test had two parts; two hours of techniques; Karate, Thai Boxing, Judo and Krav Maga, and the second part was 40 full contact fights covering Judo, Kickboxing and what is now known as MMA (mixed martial arts but in those days it was just called Free Style). I earned my black belt in free style Kickboxing and Krav Maga, completed my one year course at Wingate Institute and I was prepared to teach. My first group was in the synagogue. Eventually as the group grew the synagogue changed its policy and I was out. I needed to find another location. I had none. I was on my own. I lived in an apartment building. I noticed that our mandatory bomb shelter was in terrible shape. Since 1967 the law is that all buildings must have bomb shelters sufficient to accommodate all those who live in the building. Today the law includes a safe room (not against verbal insults like in America, but to protect us from chemical warfare). This is the world in which we live. We understand violence. I approached the residents with a proposal; In exchange for letting me use the bomb shelter as a dojo I would fix it up, clean in up, and pay for the upkeep. It would be a win-win situation. Fortunately they agreed. My students and I got to work, cleaning, panting, plumbing work and soon we were ready. We had our own dojo; the bomb shelter dojo. Gradually I became well known in the community and I was invited to teach regular classes in three schools. This continued for several years until the mayor of the town decided that he did not want any private dojos competing with the state sponsored community center, which had its' own karate teacher. Once again I was on my own, outside the "system". One day I received a call with an offer to be a traveling teacher and teach Krav Maga in all the schools in the Jerusalem region. This was a special program paid for by Jews in Canada and the USA. They had seen the terror attacks in Israel and decided to sponsor Krav Maga classes for all school children. I was asked to develop a program to teach Krav Maga survival skills for grades 1 through 12. (ages 6 through 18) (This will soon be the subject of a book, Krav Maga for Kids). Sadly the schools did not take the program seriously. The children also did not take it seriously for the most part and saw it only as a free period. The home room teachers who were supposed to supervise used the time to take a break or grade exams while sipping coffee in the teachers room. After three years I had enough of this. I continued teaching my own students. I also began teaching a women's' Krav Maga class. One of the original students, more than 25 years ago was Esther Lehman, now a 4th dan black belt and internationally known instructor. She has been assisting with IKI ever since. 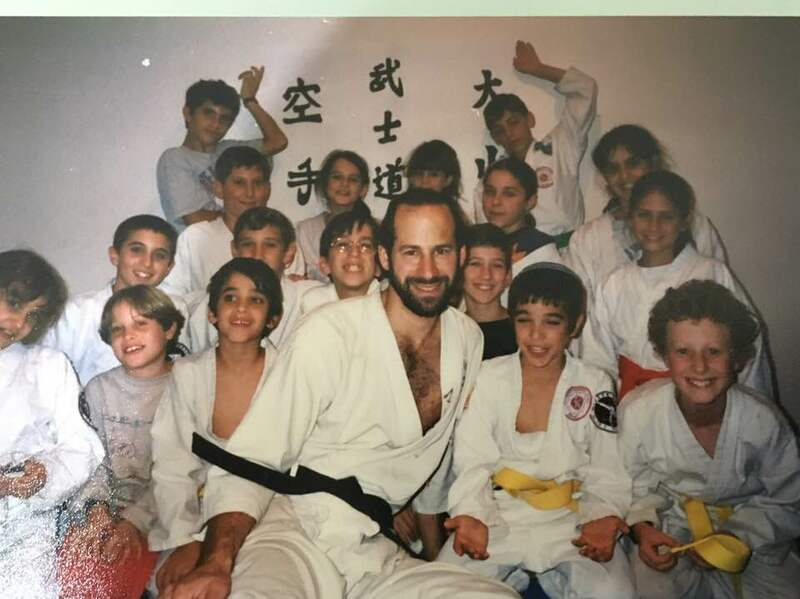 I was still training with Itay Gil in Jerusalem (18 years) and I would bring my students to Itay for testing and evaluation. I made sure my teaching was up to standard. Several of my students earned their black belts under Itay Gil and myself. They went on to serve with honor in combat units in the Israel Defense Forces. Our training has always been real. It has proven itself in combat and against street crime. We do not compromise on quality. We soon outgrew our little bomb shelter dojo. I had to place mats outside which caused a problem with residents of the building came home. It was a great atmosphere and despite the cramped tiny quarters no one ever complained. Until this very day members of that old dojo come back to visit me and recall those great times, but it was time to move on. A new building project began just up the road. A friend suggested that I buy one of the new homes and use one floor to live in and one floor to be the new dojo. I looked into the matter but it was far beyond my means. Nonetheless with a little help from the One Above the plan moved ahead. I signed for the unbuilt apartment and prayed that I would be able to make the payments. Miraculously money always appeared at just the right time. Within a couple of years my new home, and our new dojo was ready. The students once again helped me move. Soon we had our first class in the new dojo, it felt like a palace. It was always my dream to have a dojo in my home, like the "Miyagi Family dojo" in the Karate Kid film, and so it was. This has remained our dojo ever since. 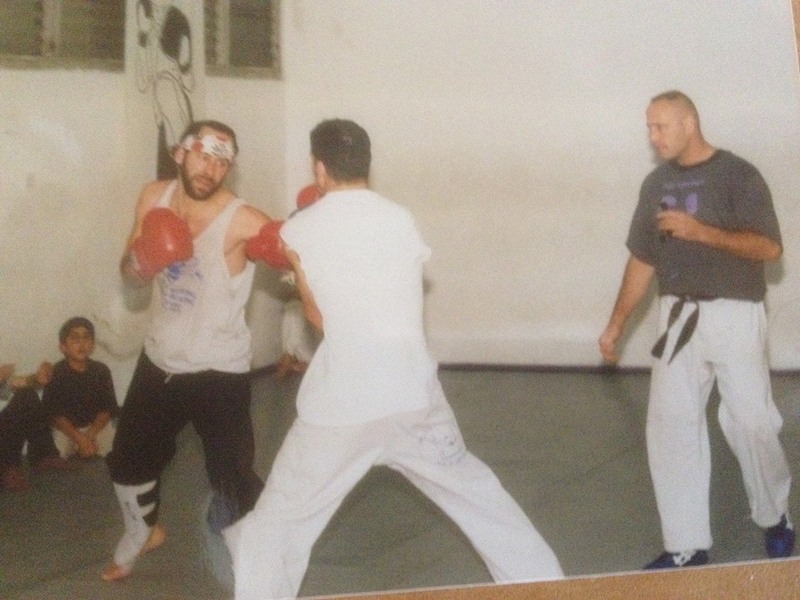 Soon it would become the home center of IKI, Israeli Krav International. 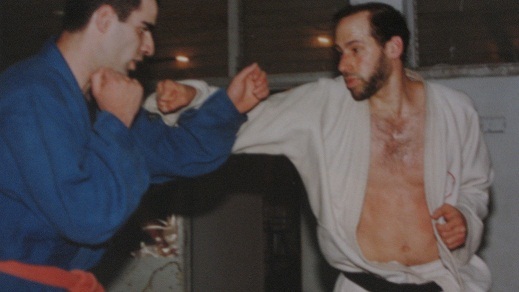 Little did we know that from this small dojo techniques would emerge which would be taught in over forty countries world wide including military, police, and presidential security guards. Kickboxing test, exhausted after fighting 40 consecutive fights without a break. Early years, teaching children. I taught children for nearly 20 years. I paid my dues as a teacher, student and fighter. Full contact fighting. No holds barred.